Experience the power of a hefty orchestral arrangement on your big day! From sweeping recreations of the classical masterpieces to fierce interpretations of your pop and rock favourites, at Entertainment Nation we'll match you with the best wedding orchestras for hire in the UK! Built from the most talented and experienced classical musicians, our globe-trotting wedding orchestras are the epitome of elegance, style and sophistication and deliver the ultimate soundtrack to your special day! There couldn't be a more powerful statement on your wedding day. Lovers of traditional music can embrace the weighty sound of string, percussion and woodwind arrangements bringing the breathtaking power of their classical favourites to life, but our orchestras for weddings are equally at home arranging modern pop and rock songs to get you dancing! Whatever your style, nothing compares to the excitement of scores of musicians in perfect harmony, creating the songs you love in an unforgettable night of live music. If you're ready to make your big day unforgettable with a top-quality wedding orchestra, dive into our profiles and have a listen. A brief enquiry form is all that separates you from a comprehensive quote for your favourite wedding orchestra, or you can get in touch with our team by phone, e-mail or live chat. We're here every day (even on bank holidays) between 10am and 10pm and are always happy to help! Why Hire a Wedding Orchestra? Most people don't get the opportunity to experience an orchestra first-hand, and nothing compares to the sensation these colossal musical arrangements achieve. Radiating luxury and elegance, the mere sight of an orchestra arranged on stage imbues your big day with unrivalled glamour and romance. Whether it's a modern orchestra bringing new life to the classical genre or a dance orchestra using strings, keys, vocalists and guitars to craft euphoric arrangements of dance anthems, nothing compares to the excitement nor versatility of these mammoth performances - so there's not a chance you or any of your guests will ever forget the thrills they provide on your big day! How Much Will It Cost to Hire an Orchestra for a Wedding? The sheer variety in the size and style of orchestras means it's virtually impossible to predict an average cost! Many things will affect the price of your orchestra from their popularity, to the distance they have to travel, and of course how many members make up the orchestra! At Entertainment Nation we have smaller ensembles who start from around £800 and can be built up with additional players to your preference. 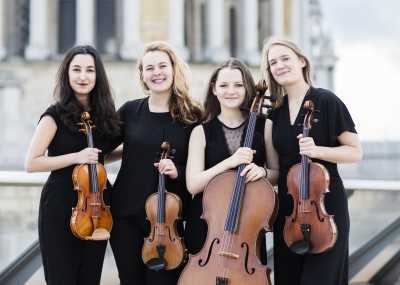 A 5 piece classical string ensemble might cost around £1200. A world-class 11-piece orchestra could start from £5,000, with the option to add extra musicians as you wish - we've got orchestras that can be built to contain over 50 people for a full symphonic experience! Whatever your budget, you can relax knowing the team here at Entertainment Nation are here to help you hire a wedding orchestra that'll make your dream day come true. Whoever you hire, you have the peace of mind knowing our in-house industry experts have vetted all our artists to make sure they're nothing but top-class professionals. What Will an Orchestra Play? You might imagine an orchestra would perform elegant airs, extravagant concertos and intimate chamber arrangements, and you'd be right - but that's not all they're capable of! 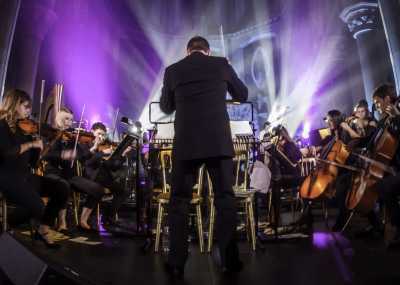 Classical style has reinvented itself for the modern age thanks to our fresh contemporary orchestras, and combining strings, woodwind and percussion, they create sensational renditions of uplifting pop and rock songs. You'll be rocking out to Bruno Mars, Coldplay and Katy Perry before you know it - making orchestras a versatile choice if you've got a lot of different guests to please! Our orchestras have years of experience putting on extravagant shows for clients nationwide, so they know just how to excite the crowd on your romantic day. Smaller groups will likely even consult with you on learning your first dance, to make their performance extra special. 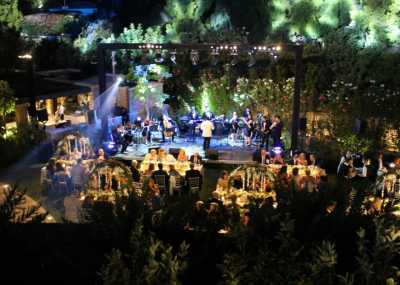 What's Included in a Wedding Orchestra Package? The incredible variety means the only way to know what you receive with your orchestra is to check their individual profiles or enquire. The larger groups will liaise with you on what to supply, as their performances will no doubt need to be individually catered for each venue. Smaller groups often provide their own PA and lighting and provide recorded music between sets. Other options might include manned DJ services for an after-party, additional sets, musicians, and special requests! Planning your wedding day is stressful enough, so we've taken all the hassle out of organising your entertainment! 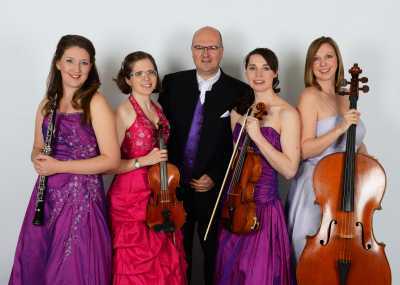 All that stands between you and a quote for your dream wedding orchestra is a brief enquiry form. Once we have your details, we'll be in touch! With secure online payment and comprehensive contracts, you can book confidently with Entertainment Nation.